Sweet Surface! NO MORE CRACKED TILES and SMELLY, IMPOSSIBLE to CLEAN GROUT! Eco-Grip™ is resistant to chemicals and animal fats. Grease traps and drains are securely routed in. Mathusek is proud to install ECO-GRIP™, awarded the US Green Building Council Seal of Approval, and MADE IN THE USA. 95% RECYCLED CONTENT. 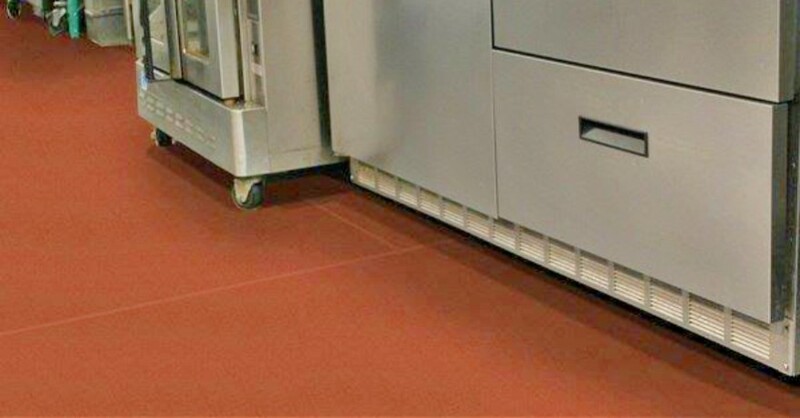 Mathusek installs Eco-Grip™ Slip Resistant Safety Flooring because your employees will love the comfort and the grip. 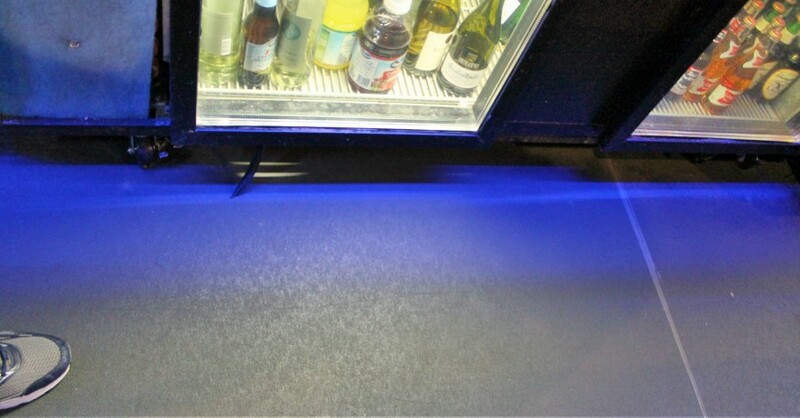 Excellent traction, even when wet and greasy (what other flooring will make that claim). Will withstand high impact. Holds up under harsh chemicals. Did we mention…Easy to clean? Eco-Grip is the perfect application for other industries as well! 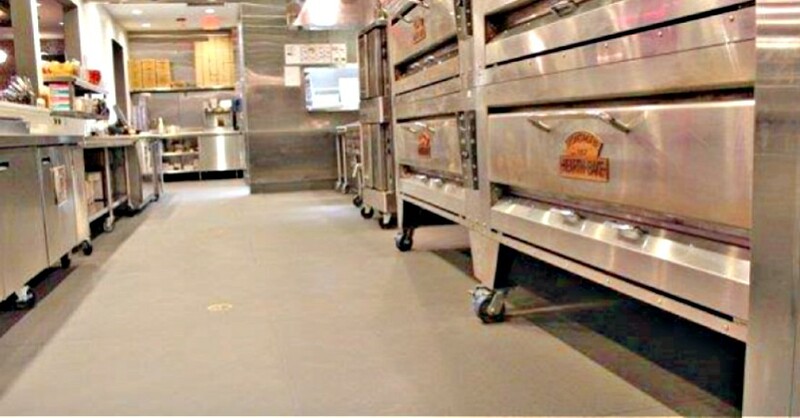 Child Care, Medical Facilities, Grocery stores, Transportation and Senior Living Facilities NEED Eco-Grip Flooring. Please call Mathusek for further information. 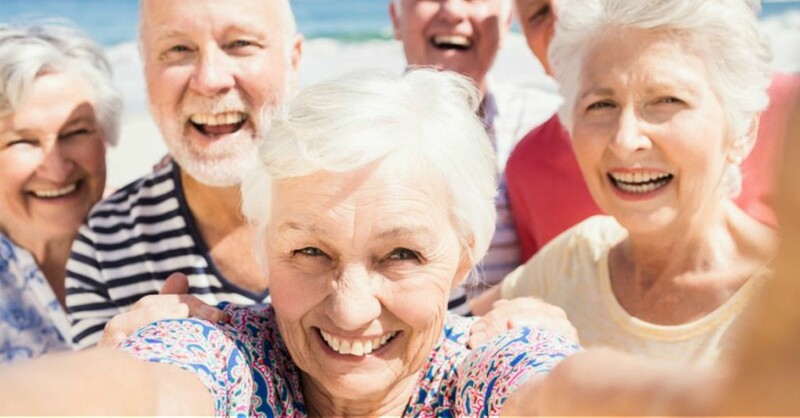 Senior Living should be about the quality of your life! Mathusek recommends installing Eco-Grip™ surfaces in your Senior Residents because of the amazing non-slip properties and comfort underfoot. 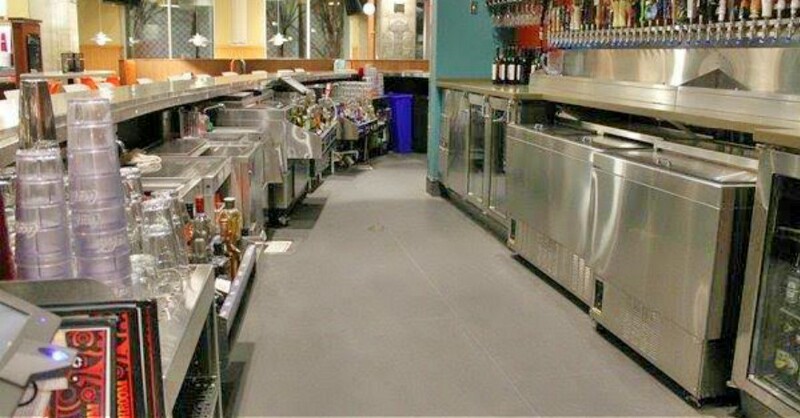 Think of the other high traffic areas that would benefit from a comfortable, non-slip and easy to clean surface. 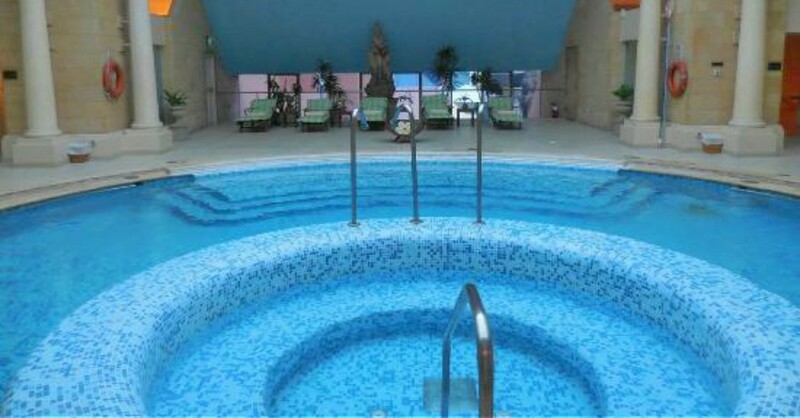 Pools, Spas, Hospitality, Grocery and Institutional!